And another major #fishkill on the Darling... This is the third one. 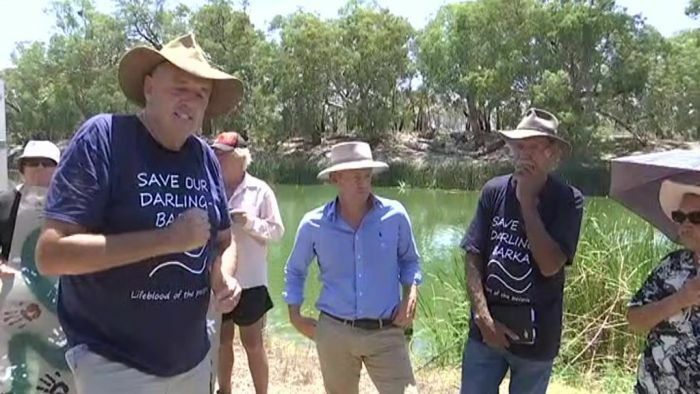 Menindee residents crash the NSW Regional Water Minister's press conference on the banks of the Darling River, after he arrives in the town to inspect hundreds of thousands of dead fish, which suffocated in the latest mass killing. Whats up with the fish murders? Is this like Lemmings? It's more like environmental apocalypse.